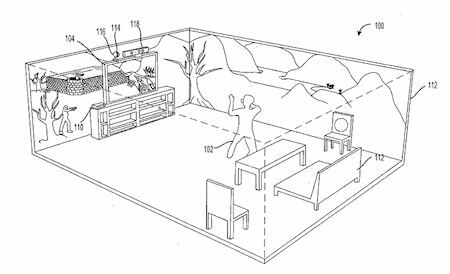 Microsoft filed an US patent in early 2011 for an 'immersive display experience'. It consists of a standard video game system with a connected 'environmental display' capable of projecting a panoramic image that 'appears to surround the user.' Star Trek holodeck, finally!